That Rusty Harris led off this May 1991 inning with a double isn't so much interesting as the pitcher he hit it off. Playing with the Astros at AA Jackson, Harris hit that double off former Cy Young and Rookie of the Year winner Fernando Valenzuela. Valenzula pitched with the Angels for AA Midland, trying to make it back to the majors. Harris worked to get there for the first time. Valenzuela made it back to the bigs. In six professional seasons, though, Harris never made it. He made AAA, but he didn't make the majors. 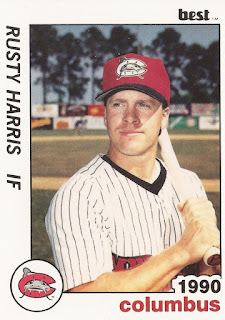 Harris' career began in 1987, taken by the Astros in the 13th round of the draft out of Lewis-Clark State College in Idaho. At Lewis-Clark, Harris lead the team with .980 fielding percentages in 1984 and 1987. He also won scholar-athlete honors in 1986. He hit a home run in a May 1986 game. He also scored 21 runs in the 1987 conference tournament, a record. With the Astros, Harris started at short-season Auburn. He got into 64 games and hit .216. He then played 1988 at single-A Osceola and AA Columbus. He hit .210 on the year over 85 games. He went 2 for 4 in a May game for Osceola and moved up to Columbus in June. 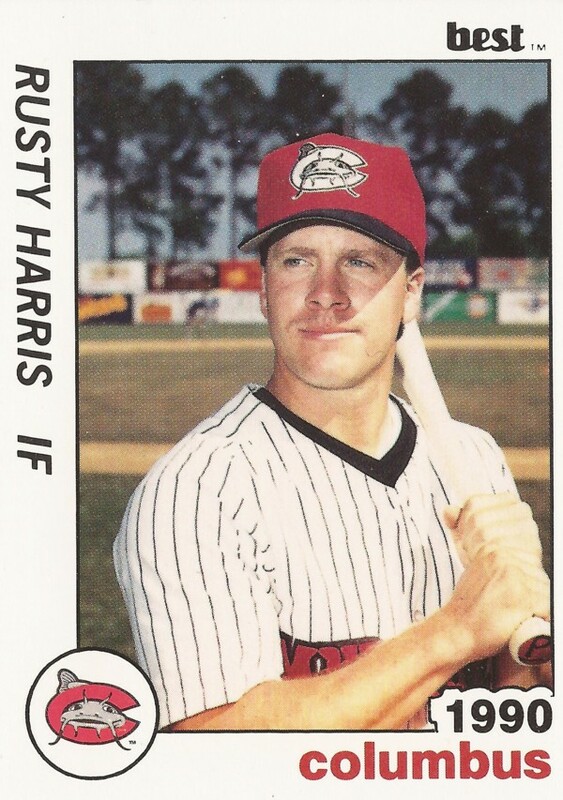 Harris played 1989 back at Osceola and then 1990 at Columbus and AAA Tucson. He got into 44 games at Tucson and hit .294. Harris returned to AA for 1991 and 1992, at Jackson. He singled and scored in a May 1991 game. He hit .240 in 51 games in 1991 and .221 in 29 games in 1992, ending his career.